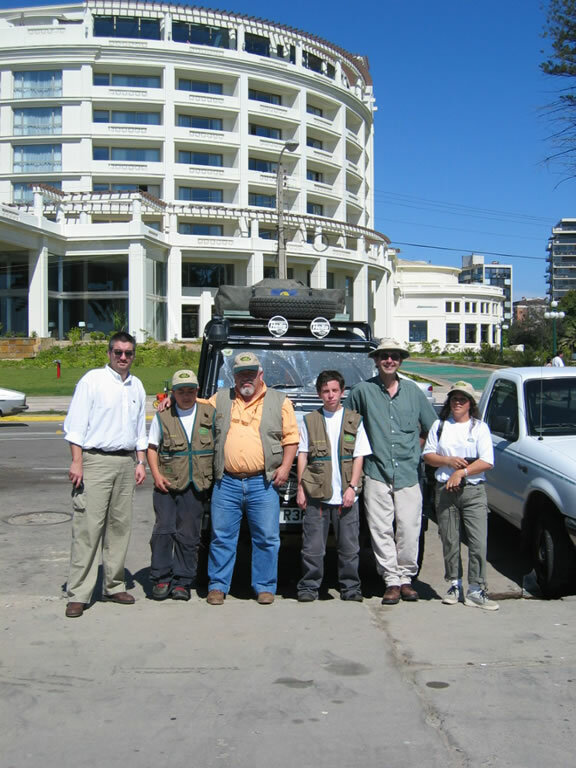 After putting the roof tent and spare wheel back on the Weasel with the help of one of the hotel managers, we were on the road again, heading out to the coastal resorts of Valparaiso and Viña del Mar. We had been emailed by Douglas from the Land Rover Club Chile, Region V, inviting us to stop by and meet the club if we were in the area and offering any help we might need. Douglas had found our website and got our email from there. We gave Douglas a ring on our way out of Santiago and arranged to meet later that afternoon outside the Casino in Viña del Mar. Luckily, just as we arrived and were looking for a parking spot, Douglas spotted the landy and flagged us down. A couple of members of the Club joined us there also - Rapa Nui and his family - and after some ice cream and a quick tour of Viña, we headed off to meet the rest of the Club in Valparaiso. We were surprised by the number of people who turned up to have a chat and look over our landy. 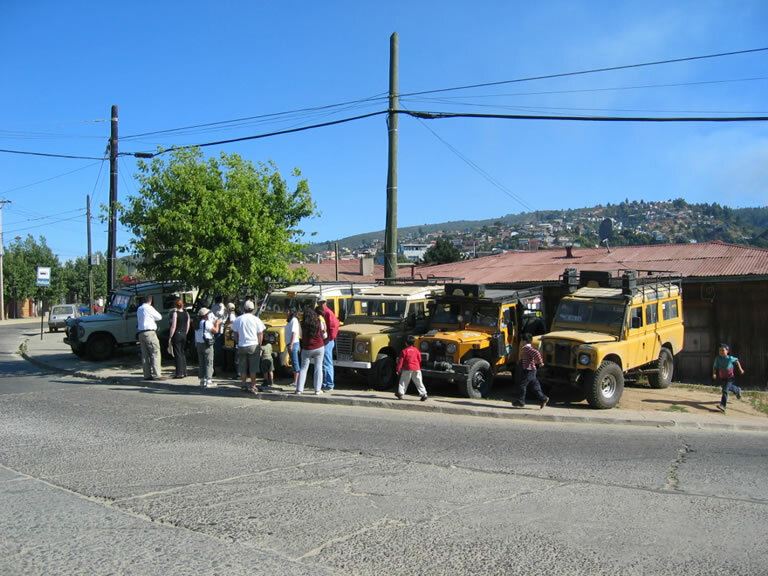 (Defenders are a bit of a rarity in Chile due to problems with importing diesel cars). After having a good old look around their Land Rovers we retired indoors for drinks and nibbles and a little presentation of their club anniversary medal, their club flag and some stickers. We felt rather guilty we hadn't brought anything to give them, as we weren't expecting this sort of welcome. Afterwards we watched some excellent videos of their club outings into the wilds. And while Sue polished off lots of Chilean red wine, poor old Ed had to stick to the coke because he was driving! The club, which celebrated its 8th anniversary on 2nd November this year, is very active and meets every two weeks to do some offroading. Lots of their Land Rovers are ex-military lightweights and most of them are Santannas, with one or two genuine British models. As time was getting on, we decided to find somewhere to stay in Viña, and the club phoned a few hotels for us to find one with parking and a reasonable rate. Rapa Nui and his family then lead the way to the hotel - Hotel Alcazar - so Sue couldn't get us lost, and we said our goodbyes.